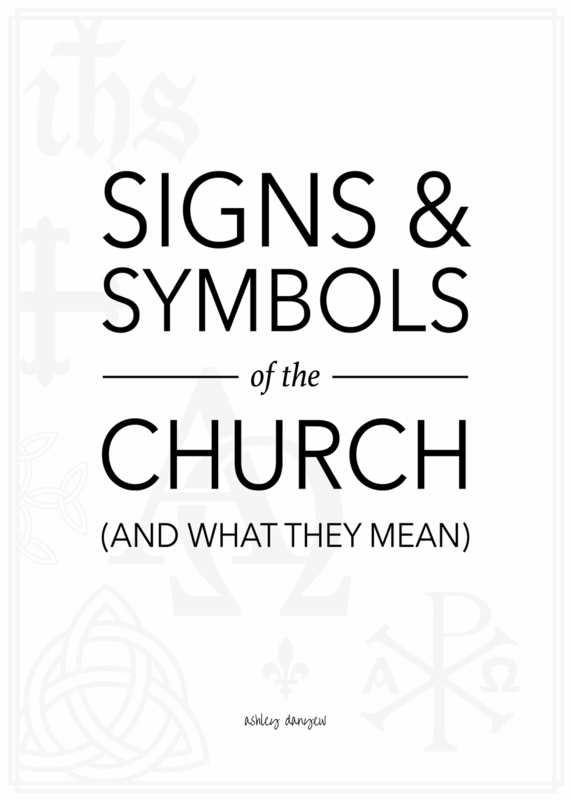 Today, I'm delving into church history to share the meaning behind 20 different signs and symbols you might see around your sanctuary (or those you visit). Water is a symbol of baptism and new life (being born of the Spirit). It represents cleansing and healing. It also reminds us of the story of Jesus and the Woman at the Well, when Jesus offered her "living water." Butterflies are a symbol of new life. They begin as caterpillars, make a cocoon for themselves, and through a process of metamorphosis, emerge as butterflies. As such, they are symbol of transformation through faith. 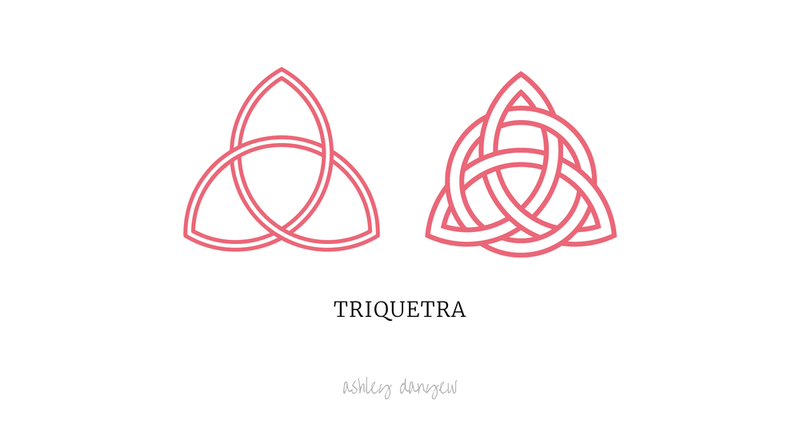 The triquetra represents the Holy Trinity: Father, Son, and Holy Spirit. It is used to form the Carolingian Cross pictured above and is a form of Celtic knot work (source). It is sometimes shown with an interlocking circle, as well, as shown below. 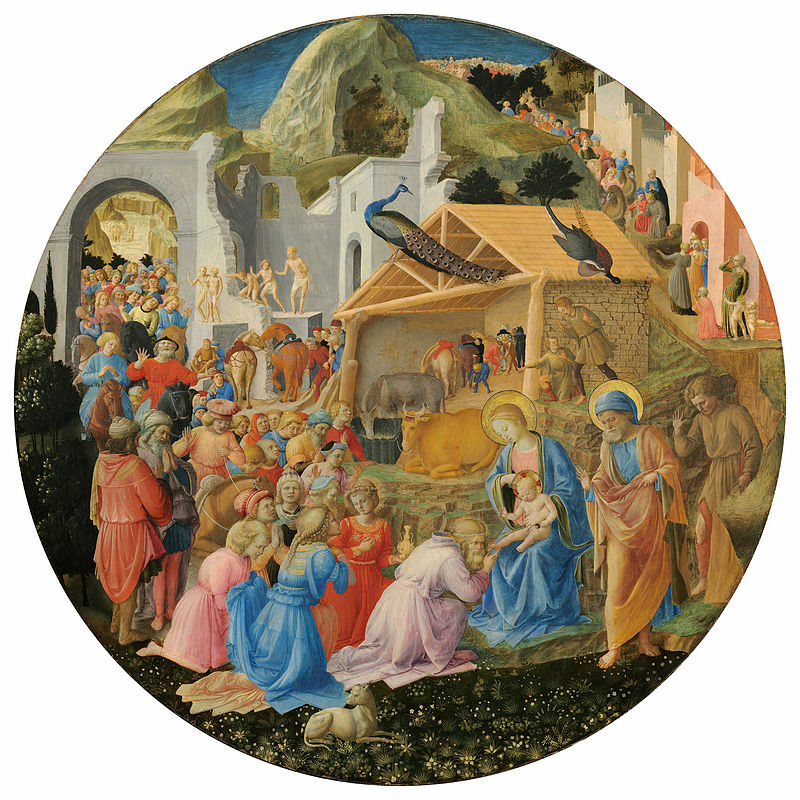 The loaf and cup represent the Last Supper and Jesus breaking bread and serving his disciples. These are symbols we use during Holy Week (Maundy Thursday) and when we receive communion. The loaf of bread represents Jesus’ body, broken for us, and the cup represents his blood, shed for us. The crown reminds us that Jesus is King of kings and Lord of lords (Revelation 19:16). The crown may also represent the crown of thorns that Jesus wore on the cross and the crown of glory given to him in heaven. David described God as his shepherd in Psalm 23, and in the New Testament, Jesus described himself as the Good Shepherd, watching over his flock. The shepherd’s crook is a reminder of how God cares for us, goes with us wherever we go, seeks us out when lost, and protects us. The circle has no beginning and no end. Thus, it symbolizes a few different things in the Christian faith: love that knows no end; a commitment or promise, as symbolized by wedding rings; and eternal life. The circle can also be seen as a halo. The peacock was believed by the Ancient Greeks to not decompose after death, making it a symbol of eternal life. It is often pictured in scenes with the Tree of Life. These symbols are monograms for Jesus' name. This monogram is comprised of the first two letters of Jesus in Greek: I (iota) and H (eta). The letters are often overlayed on top of each other. This monogram is comprised of the first letter of Jesus (I = iota) and the first letter of Christ (X = chi), using the Greek spellings (Ιησούς Χριστός). The letters are often overlayed on top of each other. The oldest of the Christograms, this symbol is made up of the first two letters of Christ in Greek (Χριστός), X (chi) and P (rho). The letters are often overlayed on top of each other. It was used by Constantine I in 312 A.D. (source). This symbol, also known as a Staurogram, is made using the Greek letter T (tau) superimposed on the Greek letter P (rho). It’s an abbreviated form of the Greek word for cross (σταυρός), pronounced stauros. The Fleur de Lis is an age-old symbol for lily, a sign of the resurrection. The whiteness and purity of the lily is said to represent Mary, mother of Jesus. The three petals also represent the Holy Trinity: Father, Son, and Holy Spirit. What is your favorite sign or symbol of the church?